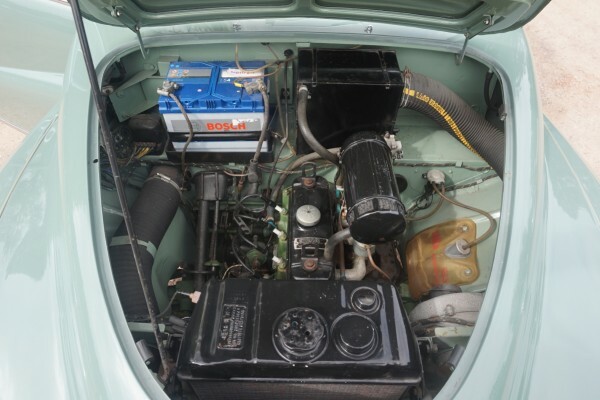 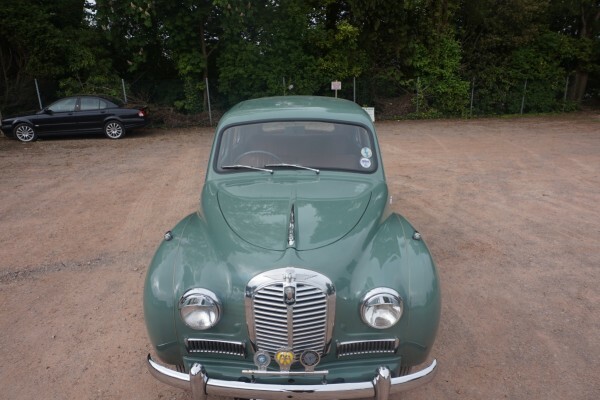 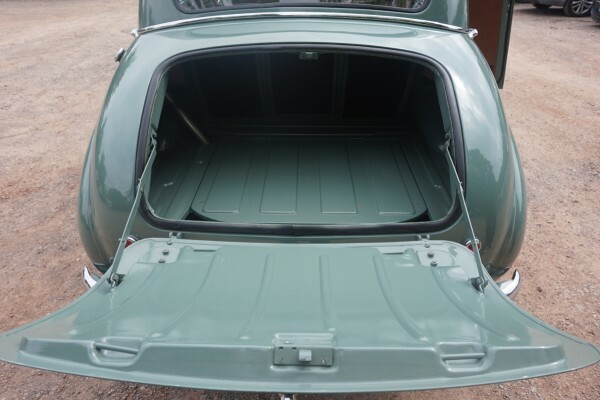 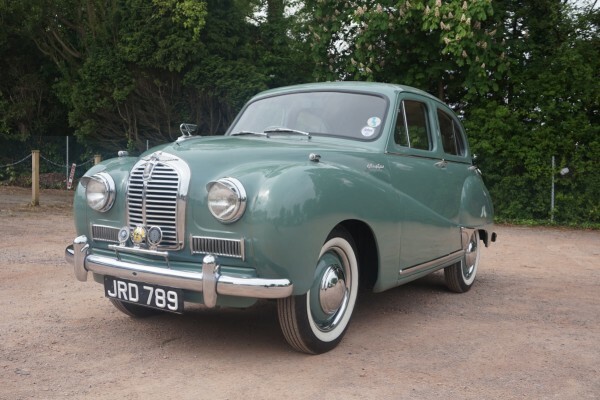 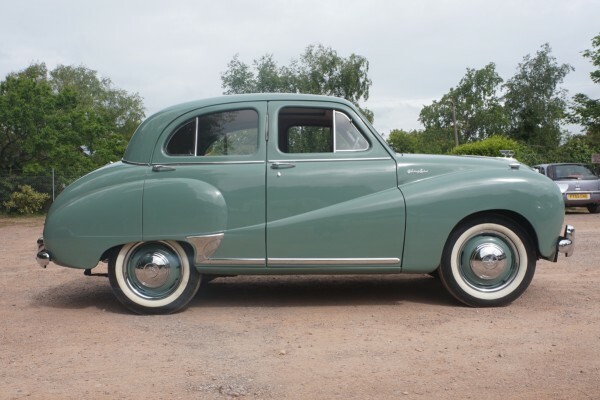 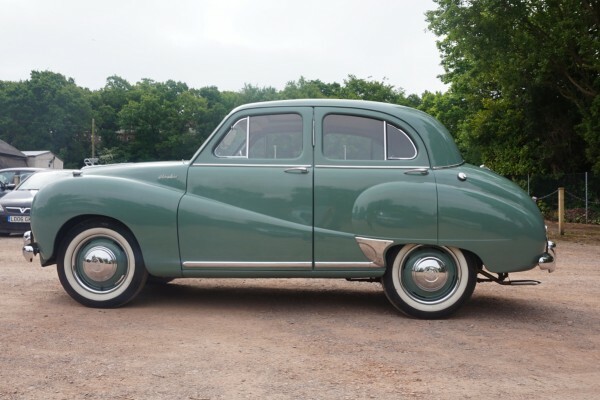 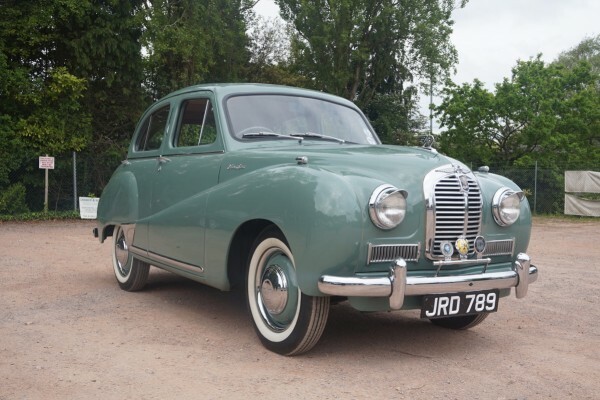 This beautiful Austin A40 Somerset is finished in Buckingham Green with tan interior. 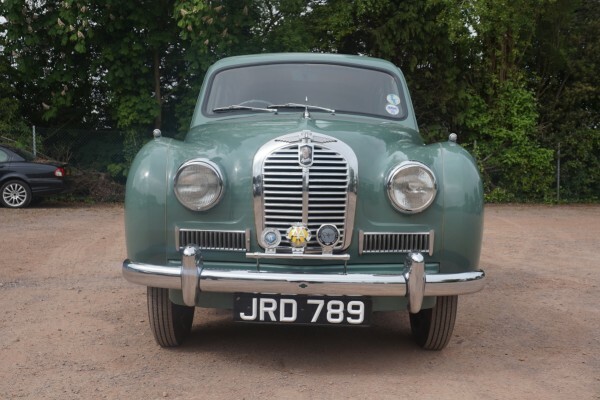 Old MOTs dating back to the mid 60’s, invoices and a newspaper article on the car all confirm that it has covered a mere 39,714 miles from new. 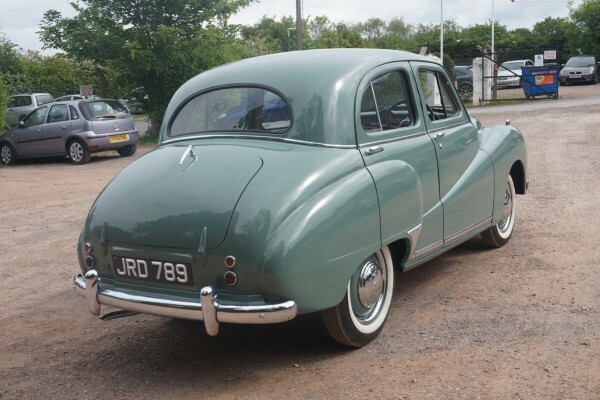 In superb all round condition. 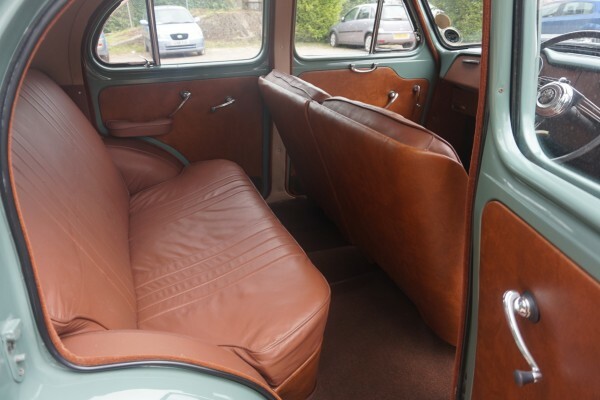 Fitted with a column change gearbox, a full stainless steel exhaust, sunroof, heater and leather seats. 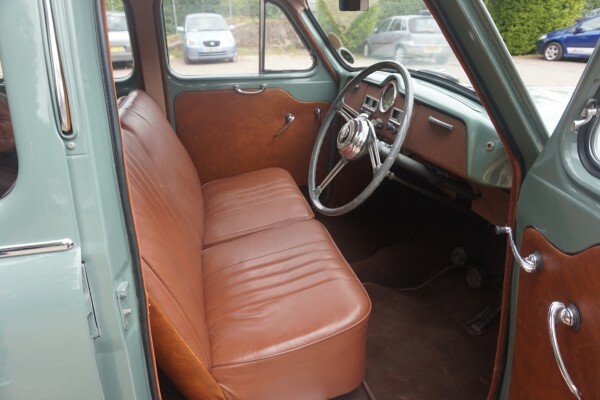 The previously mentioned newspaper article states that up until the mid 70’s the car was a one owner vehicle and was virtually unused up until 1992. 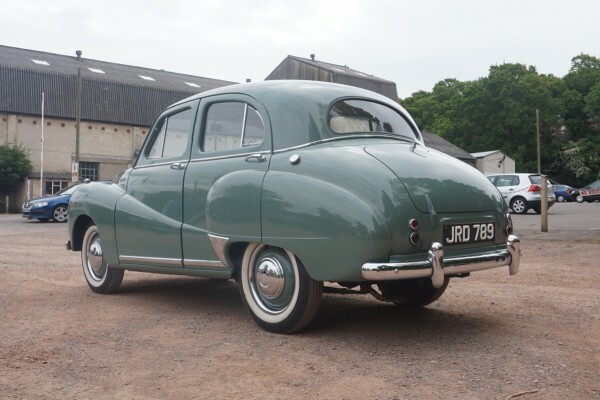 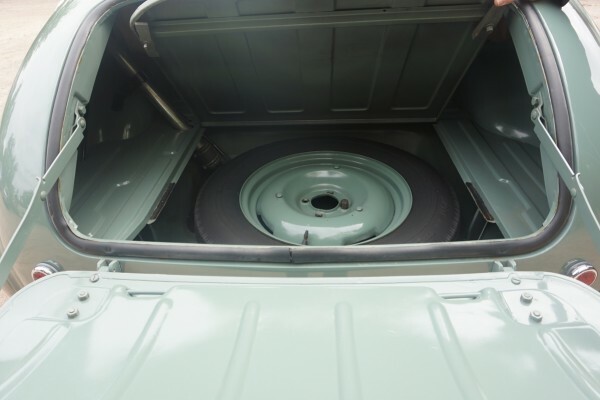 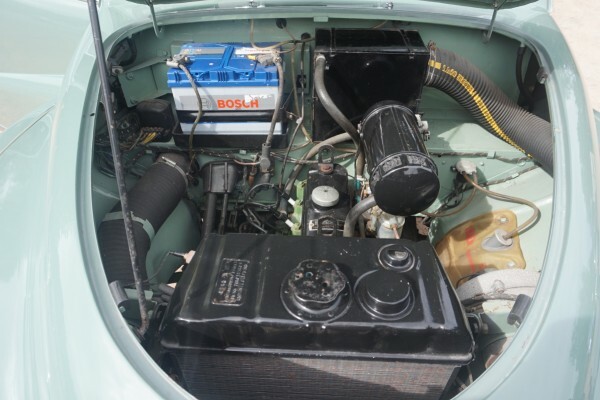 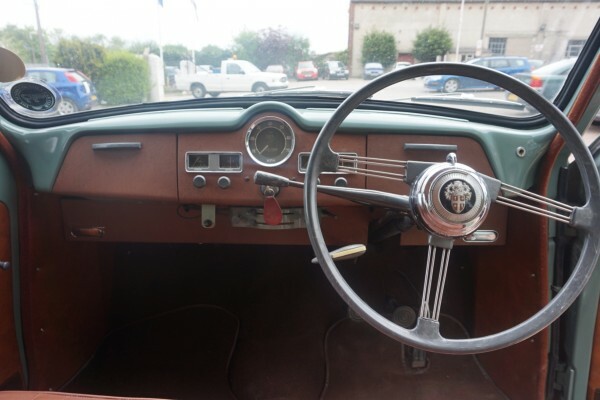 It formed part of a private collection of Austin cars until very recently. 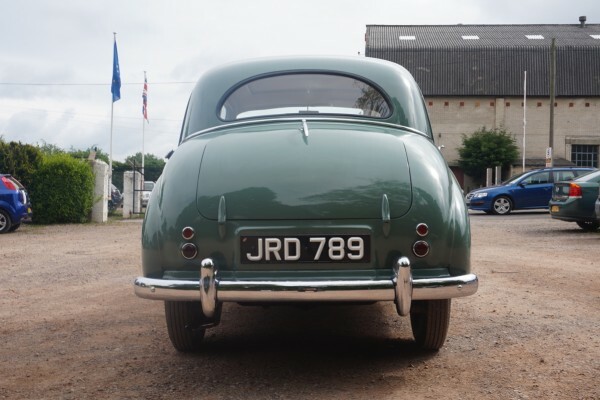 The car comes with its original transferable registration number.